We are gearing up for one of our first family vacations in a long while. We are headed to San Diego to spend the Fourth of July. I can hardly wait to watch the fireworks on the beach! We definitely deserve this trip! Hip, hip hooray for summer! You must know that I have a love and appreciation for appliques. 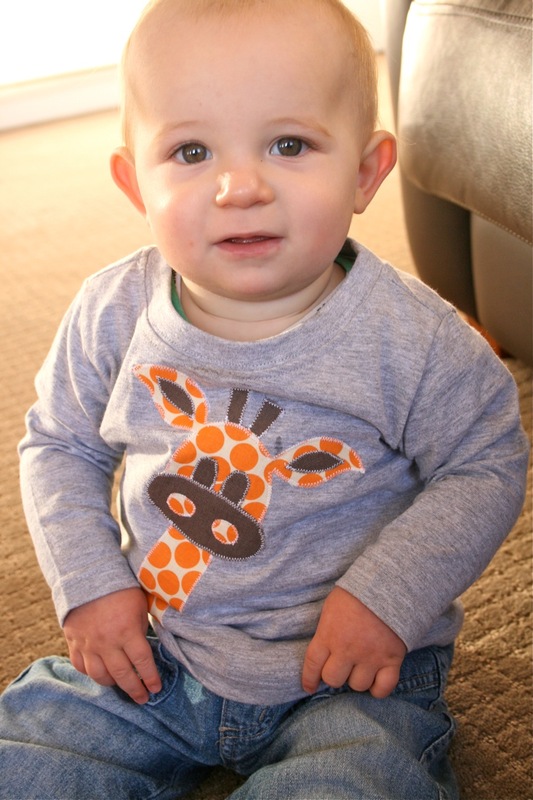 How adorable is this giraffe applique! I found this idea at Make It Perfect. 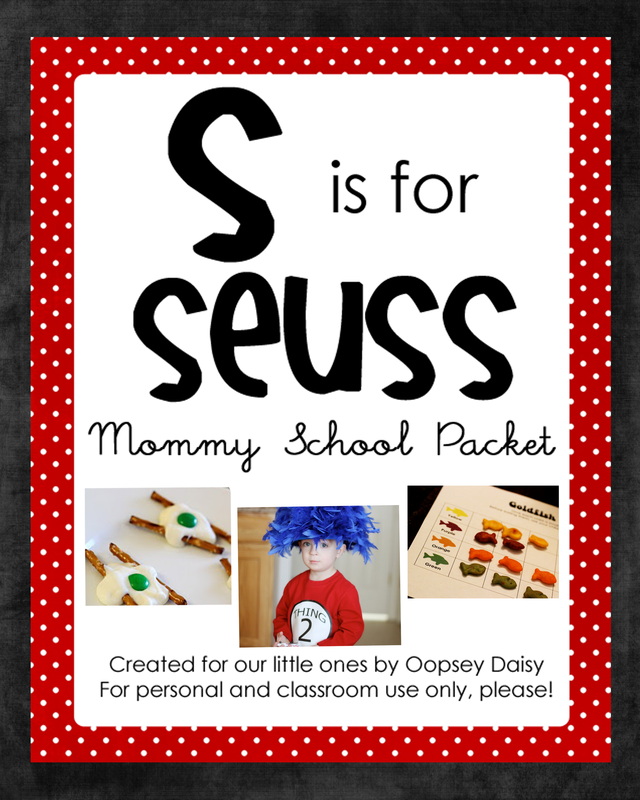 I may be trying this out for Little Man because he loves animals! 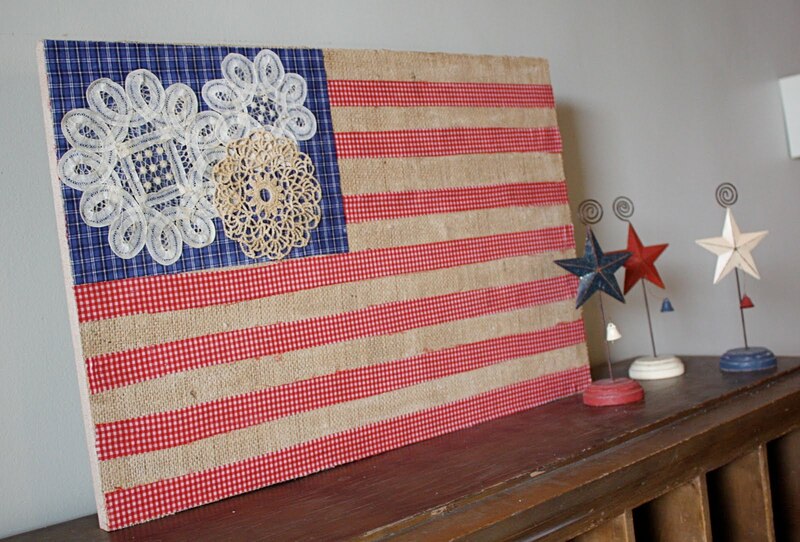 I gasped when I saw At Second Street's burlap and doily flag. This is incredible! I admit that I haven't yet joined the doily craze. But I do adore the doily and burlap together! I might have to try this next year! 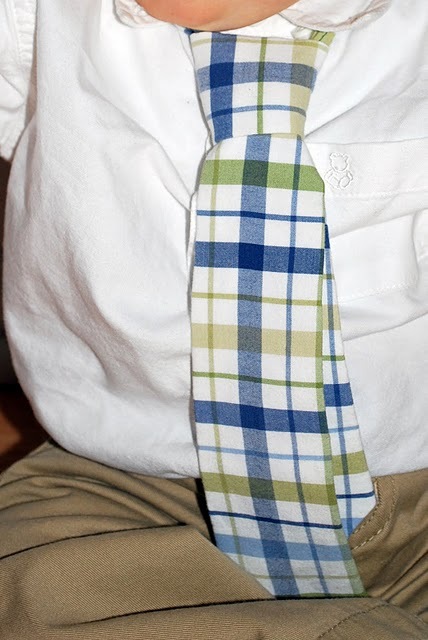 I just bought Little Man his first tie. Then I saw this tie from a placemat at Just Another Day in Paradise. I love it!! You can find the tutorial here: Part 1 and Part 2. 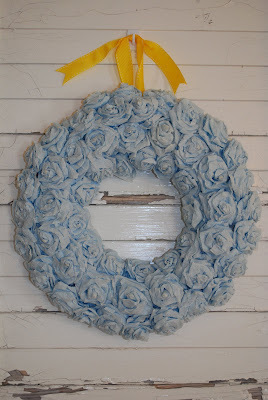 I was delighted when I stumbled upon this crepe paper rose wreath! I bought a ton of white crepe paper, wanting to make a crepe paper wreath. I think I am going to adopt this method, shared by A Glimpse Inside. Check it out! 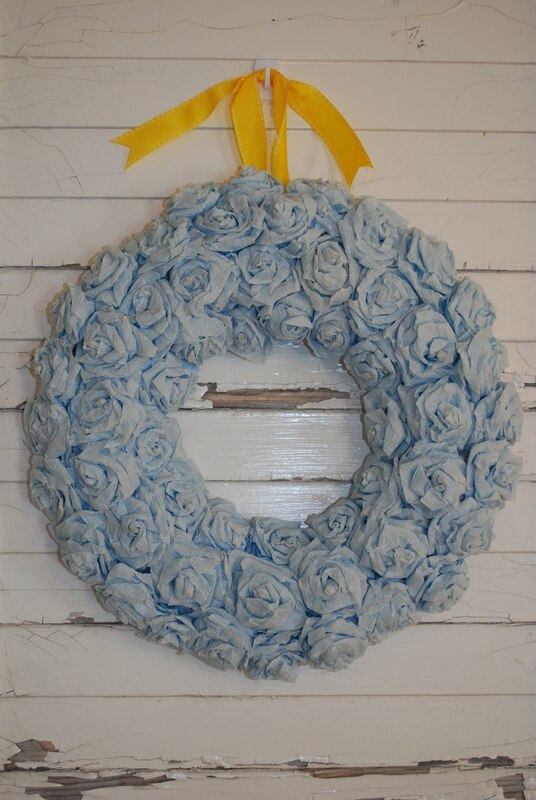 You will love how she displays this gorgeous wreath too! 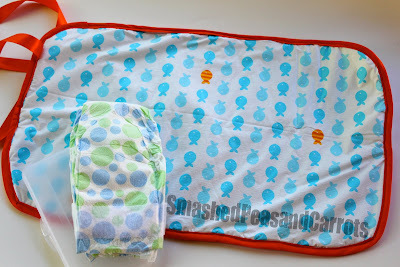 I am impressed and intrigued with Smashed Peas and Carrots and how she is using vinyl tablecloths to make all kinds of handy items for her little one! She made this clever changing mat. You can also see her tutorial for booster seat cushions using a vinyl tablecloth. Genius! I hope you're inspired! Have a great day! Great picks!! I'm infatuated with that wreath. 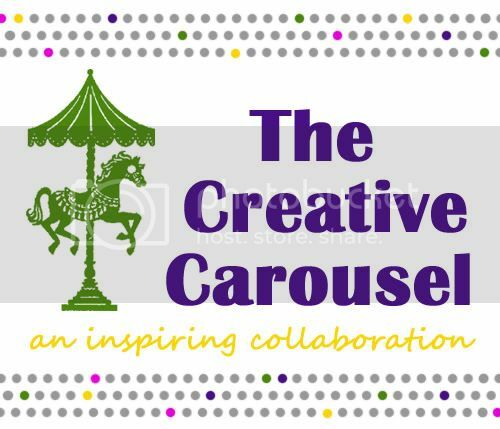 Love the new tagline on your blog banner!!! Best one yet! 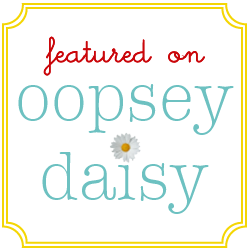 Alison, Thanks for the feature you are so sweet. 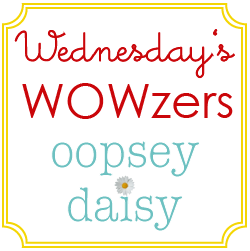 I'm enjoying your blog you have some fun projects. Thanks for featuring my shirt!